We don't know about you, but the weather here has been pretty beautiful and we're all about it. We know that big events held around the country with tons of people is not everyone's cup o' tea. We also know that we miss everyone all the time and just want to find any sort of excuse to see our friends as much as possible. Completely casual opportunities to have some fun and meet some new people. Every other month, we will do some sort of activity. If you're interested in that month's activity, you just need to let us know you're coming and bring the money with you the day of! Easy as mac & cheese. 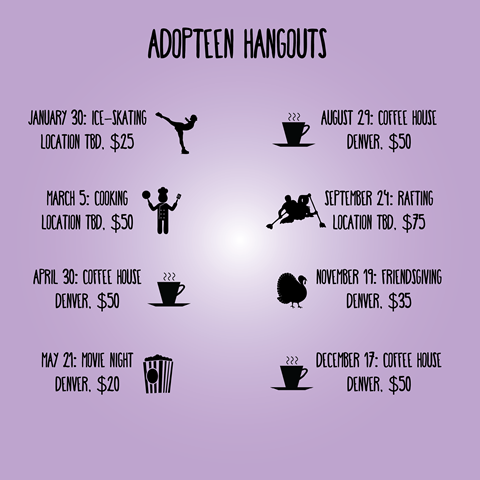 What is Adopteen Coffee House? Adopteen Coffee House is a great opportunity to eat good food and share in important conversations. The best conversations happen over coffee/tea/milk/(whatever your favorite beverage is) after all. Adopteen Director Amy Zhong and an adoption therapist will host and lead! LEADERSHIP APPLICATIONS ARE CLOSING JANUARY 1ST! Keep in mind, these applications are for our entire 2016 year. If you are hoping to serve on the Leadership Committee for ANY events this year, you need to apply! All Leaders receive 50% off registration fee for any event they lead. Sign up for the best 10 days of ever. 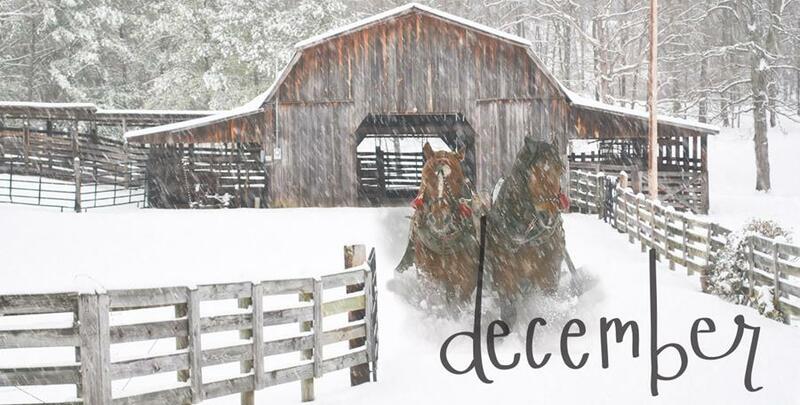 Seriously, we're running out of time and there are still plenty of spots left for this incredible adventure! The Trip Fee of $1600/person covers ALL in-China travel, housing, activities, and meals! Come explore some of China's most beautiful landscapes and dive into the Miao and Dong minority people's way of life! We need 10-15 travelers in order for this trip to happen. And we really want this trip to happen. 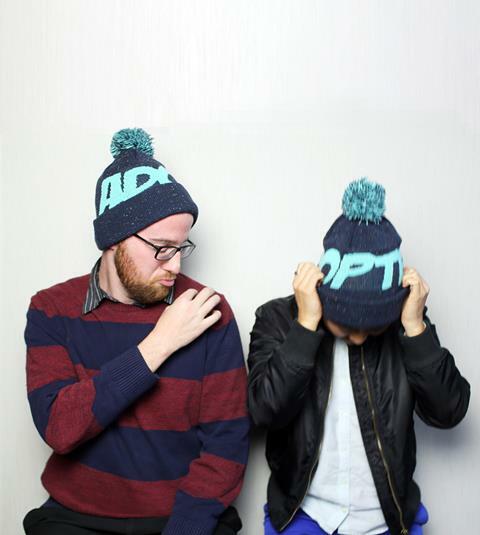 We don't know if you've heard, but we have brand spankin' new Adopteen beanies in the Adopteen Shop that are just waiting to find a cold noggin to warm up! No need to thank us. Just go ahead and buy one and we'll know you love us.